Review: What the hell is going on in this film. The movie is all over the place and it wasn't that funny. 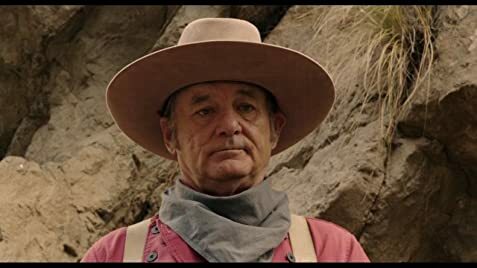 It's good to see Bill Murray and Charlie Sheen back on screen, but this movie didn't make that much sense to me. I think that it's supposed to show the thought within Charlie Swan's mind during a break up, but the director had a funny way of portraying the story. I was hoping for a witty comedy, but there wasn't much flow to the film because it skips from one scene to the next. I just hope that Charlie Sheen doesn't make this to be his last movie because its a bad way to go out. Disappointing! Round-Up: I don't know if there was a moral to this story, with what is happening in Charlie Sheens life at the moment, but I didn't get it. The director really wasted the cast, and the concept didn't have that much thought. 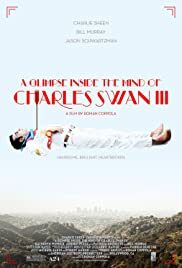 I thought that it was a bit weird that I hadn't heard about this film because of all of the media surrounding Charlie Sheen. Anyway, this is a very strange movie and you need a warped sense of humour to find it remotely interesting.